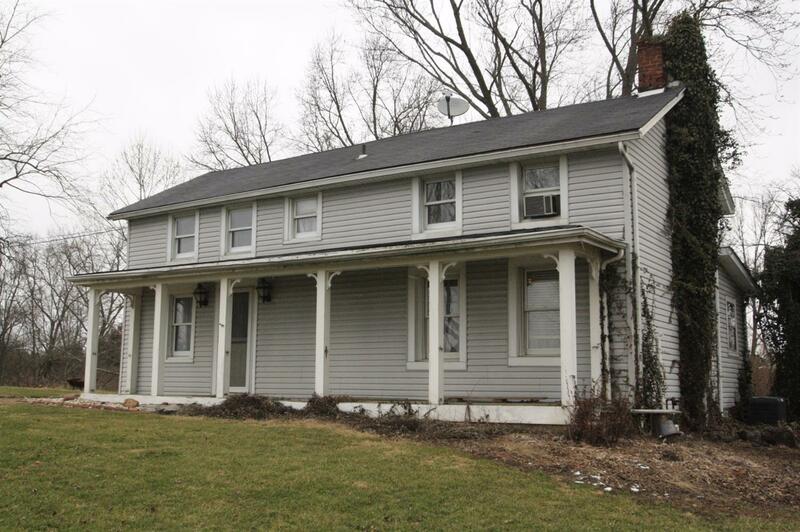 Comfortable 4 bedroom, 2 story w/country front porch, deck, eat-in kitchen & 8+ acres to call your own! New furnace, newer roof. Large metal barn w/rollback track doors on side & end. Can drive into barn. Separate office area, concrete floor, electric, & overhead lighting. Would make a great shop! Location has always played a role in the development of Cedar Grove, first with the frontiersmen and settlers trading at the old Conner Trading Post, and then as a stop along the Whitewater Canal. During those years Cedar Grove boasted an extensive boat building business. With the arrival of the railroad, Cedar Grove had its own depot with a thriving business district. Times change and life has slowed down. Cedar Grove today still sits in scenic southeastern Franklin County along the Whitewater River. Amid the rolling hills, the country surrounding Cedar Grove is still 60% farmland. Just outside Cedar Grove is English Hill, one of the highest points in Indiana providing a nice view of the town. A small population of less than two hundred people means there’s plenty of room to spread out in this mostly rural relaxing area. Several of the historic buildings still stand and add charm to the community. Housing varies in size and style with space for large gardens and recreation. 30 miles northwest of Cincinnati, Cedar Grove is just 10 minutes off of Interstate 74. US 52 is the primary route through the area. You’ll need to hop in the car to do some nearby shopping. In town you’ll find still find two lumberyards, a building supply store, a feed mill, tavern and antique store, but nearby Lawrenceburg or Brookville can meet your shopping needs. Just a few miles away Brookville Lake is the center of water sports, offering water recreation options including fishing, skiing, boating, swimming, canoeing, and more. The rushing Whitewater River keeps two canoe liveries active during the spring and summer season, and riders frequent the two horse stables for scenic back road jaunts. The lake was originally built for flood control in the Whitewater River valley, and now serves as a recreation destination for much of eastern Indiana.